There’s something about the smell of roses that makes you feel fresh, energized and happy! That’s because the aroma of roses helps enhance your mood, get rid of anxiety, and promotes emotional well-being. Did you know that rose water is so much more than an addition to your face packs? A bottle of good old rose water is a staple in every Indian household, and for good reason. It’s nature's versatile magic potion that has a variety of beauty benefits for your face! Don’t believe us? Keep reading! Why Use Rose Water ? It May Just Be The Answer To All Your Skin Problems! Why we suggest using rose water for face? Well, rose water has antioxidant and anti-inflammatory properties that help soothe, hydrate, and repair your skin and hair. It controls sebum production and lends a subtle luminosity to your skin. It helps heal scars and blemishes while also brightening your skin over time. So you see, there’s so much more to that bottle of rose water than just a face pack topper! Read on to know all about rose water benefits for face! When it comes to uses of rose water for face, then its role as a natural astringent tops our list. It can be used as a toner for all skin types. After washing your face, apply some on a cotton pad and wipe your face with it. It will help close your pores, reduce acne, blemishes, redness and brighten your skin over time. 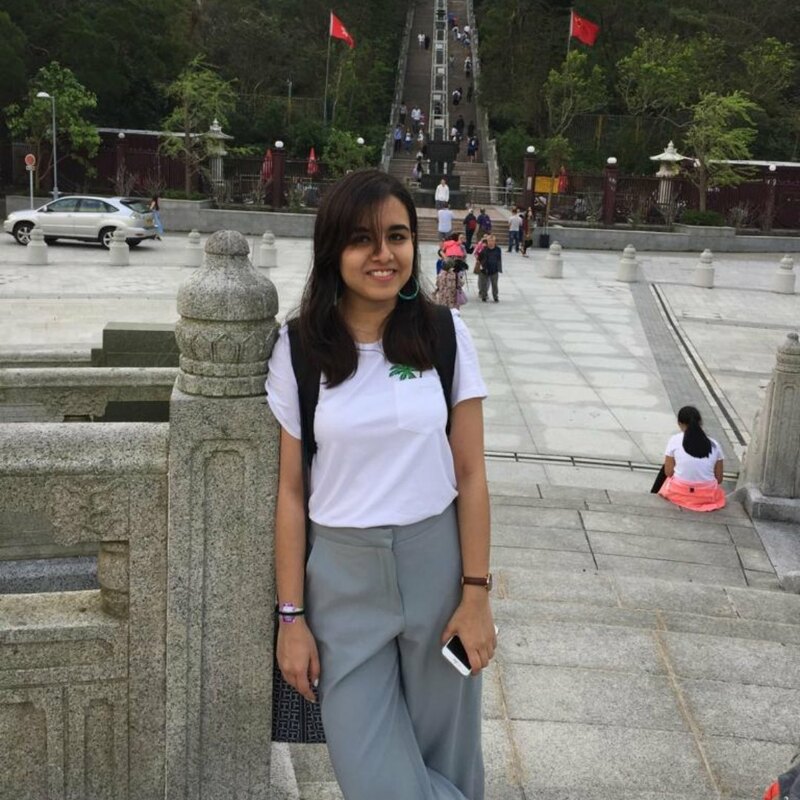 Excessive use of chemical based products and exposure to the environment causes the disbalance of natural pH level of your skin, which causes a number of skin problems such as acne and redness. Rose water helps balance the natural pH level of your skin, and controls oil secretion while promoting skin regeneration. Trust us, rose water benefits for oily skin will have you stocking this magic potion up! Rose water is extremely mild in its composition, thus making it the perfect product to hydrate your skin and hair without making it oily. It settles into your pores and freshens up your skin by providing it with just enough hydration required to maintain a healthy glow. The numerous rose water benefits for dry skin have certainly made us vouch for it! The anti-inflammatory and cooling properties that rosewater is known for not only refreshes the skin, but also reduces the puffiness. It hydrates and revitalises tired skin, and instantly gives it a refreshed look. Its anti-inflammatory properties reduce the puffiness under the eyes while also reducing redness in the skin. When it comes to the benefits of rose water for face, anti-ageing properties is something we absolutely cannot go without mentioning.Our skin tends to age the fastest due to direct exposure to the harmful UVA and UVB rays from the sun. On top of that, an unhealthy lifestyle and a constant exposure to pollution leads to the generation of free radicals responsible for accelerating the signs of ageing. Rose water is rich in antioxidants that help neutralise the effects of free radicals, thus reducing the signs of ageing. 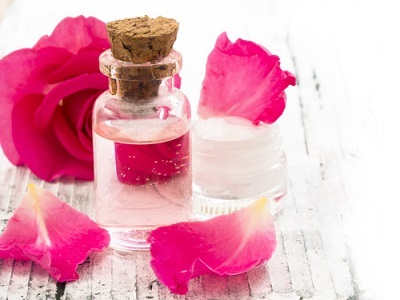 Enough talk about the benefits of rose water for face, read on to find out how you can use rose water to reap those benefits we’ve talked about earlier! We all know that cleansing, toning, and moisturising are an irreplaceable part of your daily skin-care routine. Not only does it keep your skin healthy and radiant, but it also helps it to get rid of excessive impurities. While you already spend on your face wash and moisturiser, what if we told you that you could make yourself a toner right at home? Yes, you’ve read it right. Simply dip a cotton pad in organic rose water and apply it all over your face. Give it ample time to settle into pores and follow up with a moisturiser. Not only will your face feel fresh, but the lingering aroma of fresh roses will also act as a mood lifter. Facial mists are multitaskers, and why not! Not only do they help you tone and hydrate your skin, but they also help you freshen up on the go! Fortified with natural ingredients, they also provide your skin with a shield to prevent it from environmental pollution. However, if you suddenly run out of your favourite facial mist, then rose water can come to the rescue! Simply pour your rose water in a spray bottle and then spritz it on your face whenever you’re in the mood to get an instant bout of refreshness. Rose water has excellent cooling properties, and if you add tulsi to it, then you’ve got just the ultimate rose water recipe for soothing sunburn and all those irritating itchy and red patches. Simply crush some tulsi leaves and some rose water to form a solution. Pour it into a spray bottle to spray the mixture on the affected areas. You can also store the remaining mixture in the refrigerator and then use it whenever you feel the need to soothe your skin! If you want to save your skin the trouble of experimenting and want to go all-natural instead, then we’ve got the solution for you! Simply pour coconut oil, glycerin, and rose water and apply the mixture on your face! For long-term use, you can even pour it into a small bottle. Wondering why this will work? Well, glycerin is a natural moisturizer and coconut oil is known to form a protective barrier over your skin. The rosewater not only gives you a refreshed feel but the added fragrance also gives you the feel of using a moisturizer! Rosewater as an ingredient for face packs is a home remedy that has stood the test of time. For an instant glow-up in the comfort of your home, simply mix multani mitti and rose water in a ceramic bowl until you get a soft paste. Apply it all over your cleansed face and let it dry. Wash it off after a couple of minutes and your skin will wake up to an internal glow! Multani mitti is known for minerals that nourish the skin and keep it healthy, and adding rosewater to gives it just the necessary base required to treat your skin! There is nothing better than an eye mask to soothe and depuff tired eyes. Simply soak cotton balls in rose water and freeze it for 20 minutes. Press this over your eyes and you’ll instantly feel refreshed. 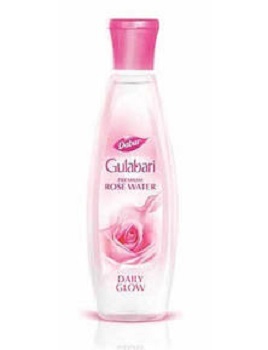 The naturally soothing nature of rose water helps a great deal in soothing puffy eyes and relieving them of stress. The skin under our eyes is extremely thin, which while makes it most susceptible to reflect tiredness, it also makes it easy for it to soak up the goodness of rose water! The soothing effect of rose water can also be used as a body rinse. Mix equal parts rosewater and equal parts water in a bath mug, pour this all over your body on days when your skin needs a little extra TLC. Add some rose essential oil to the mix and your skin will be soft, hydrated and you’ll smell like roses all day! Rose water can also be used as a mask to get rid of the excess dirt and brighten your skin. Simply mix three tablespoons of rose water with four tablespoons of honey and apply the mixture on your face. Leave it on for about 15 minutes and then wash it off with cold water when you’re done. Honey and rose water when used together have skin lightening properties that help a great deal in getting rid of tan, and to lighten scars and pigmentation. Honey is also a natural humectant, which allows skin to retain moisture. Alum powder when mixed with rose water makes for the perfect hair removal scrub. Simply mix it in rose water until its completely dissolved and apply the mixture on your face with the help of a cotton pad. Leave it on until it dries and keep re-applying for an hour. Wash it off with cool water and then moisturize. This mask works since alum powder is known for its hair-removal properties. Regular application of this mixture will eventually lead your hair to start thinning. Yes, you read it right! The loyal rose water lying in your makeup cabinet can also be used as a makeup spray if you want to have a naturally soft, dewy look! Simply spritz some of this miracle product on your makeup sponge before applying foundation for a dewy finish. We couldn’t possibly leave you hanging after telling you what all you could do with the rose water, could we? So here are some of our favourite picks of rose water mists, we bet you’ll love them too! This is a steam distilled rose water that comes in 2 sizes. Perfect for setting your makeup and hydrating your face on the go, this pocket-sized mist can be your ultimate travel companion! Another luxurious rose water made from steam distilled roses and rose oil, this one works well when used as a toner and a makeup setting spray! 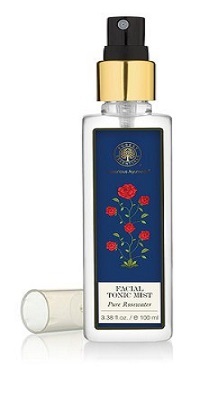 This is a luxurious rose face and body mist that’s got rose, geranium and lavender. It has a comforting fragrance and leaves your face with a subtle glow. Tried, tested and loved by your grandmother, Dabur’s rosewater is so versatile that it can be used for practically everything. Add it to your face packs, use it as a makeup setting spray or a toner. It’s pretty affordable too so I’d definitely consider using it as a hair rinse! A favourite amongst makeup artists and a staple in every beauty junkies kit, this rosewater will give your skin a boost of hydration. Consider yourself warned, this one is addictive. This one by Khadi Herbal is a skin toner that is infused with rose water, and we love the good it does to our skin! Not only does it hydrate your skin, but regular use can help you to tighten pores and prevent wrinkles! This one by Juicy Chemistry will instantly transform your tired, oily skin into a fresh, rejuvenated one! Made from premium rose hydrosol, this mist will not only give your skin nourishing moisture, but it will also balance your skin’s natural pH. Made from roses from Kannauj, Lushveda’s organic rose water’s healing, soothing, anti-inflammatory, and anti-bacterial properties make it perfect for those having sensitive skin. So for all you beauties out there, you now know that you need to get! The organic rose water by Ancient Living has a beautiful fragrance that is both tender and uplifting at the same time. Collected as residue during oil extraction from organic roses, this rose water can be used as a hydrating facial toner. Natio’s products are something we absolutely vouch for, and this skin toner infused with rose water and chamomile extracts has all our attention! This plant based lotion will not only remove all lingering traces of makeup, but will also purify your skin to give it a smooth, soft texture. Rose water is one beauty essential that you absolutely should not go without. This ultra-light and mild beauty product can be used to cure almost every skin related problem. Trust us, this one is a godsend!